theteachyteacher: BOOKS that ANY STUDENT will read. BOOKS that ANY STUDENT will read. Let's talk toilets, toilet paper, restrooms...and well, I'll stop there. But wait, don't your students appreciate a little potty humor? YES. OH, YES, they DO. Don't let me fool you or think this post isn't legitimate potty talk...because it is. 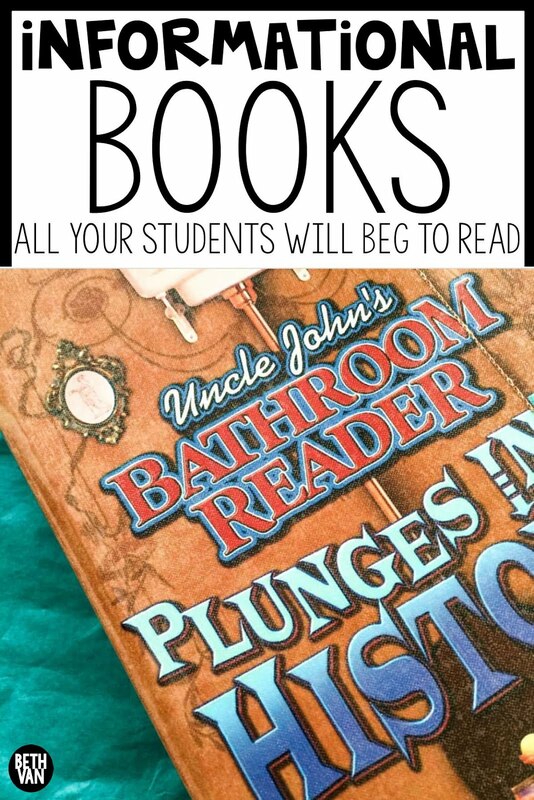 It's all about Bathroom Readers--only your students read them in the classroom.One of my favoritefavoritefavorite books that instantly transformed by reluctant readers!!! Run and get these books I was so skeptical but once we read a few excerpts and saw the magic of this book--I literally ran to Sam's Club (I am a total Costco fan but Sam's had me on this one) and picked up this book to test it out! I am so so happy that they love this. 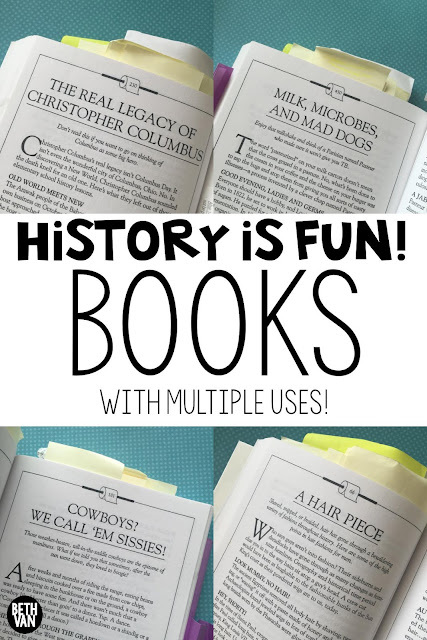 It's history/science/everything you want that is---so so funny and engaging! My students that love reading love these just as much because of the real life/historical/scientific stories that are told and the funny (and yet still accurate) way the information is presented. PLUS text features out the wa-zoo! Some information is presented in charts and lists which is so cool for students to see used in real life! I love the page number--toilet paper rolls--your kids will love it too! So I copy less than 10% of the book and make packets for our lit groups. It's is hilarious and fun. Sometimes I pair my students up and they present us with information for one article, we read it all together and do some extra exploring during genius hour, and sometimes we just sit and giggle and read these articles that are totally true! It's also a great addition to their reading logs! I love the "A Hair Piece" and usually show the Frozen clip when the Prince of WEASELTON's hair piece flips off and we all get a good laugh. And most of the time the funny titles just get me! So grab your bathroom reader and get started! You have the entire summer to check it out!